Carpaccio is a savory appetizer that is perfect with a variety of wines. 1 What Meat Pairs With Sangria? Eaten around the world, carpaccio consists of raw meat sliced and served before a main course. It is considered a delicacy around the world, even if the origins of the name are lost to history -- it was believed that a contessa ordered the raw meat in the 1950s and asked to name it after the 15th century artist Vittore Carpaccio. Pairing the thinly sliced meats, from fish to beef, with wine is based upon what the meat is itself. Lighter wines are pared with fish carpaccio whlie heavier reds are good alongside the red meat. Determine whether the carpaccio is heavy tasting. Fish tends to be delicate, veal tends to be earthy, and beef is generally pungent and flavorful. Pair a delicate wine with the delicate fish carpaccio, generally a white wine. Use a riesling or pinot blanc with the fish. Align a rich white wine or a light red wine with veal carpaccio. Oaked old chardonnay, pinot noir or merlot are all good pairings with the young beef. Serve a rich red wine with beef carpaccio. This is the strongest of the different types of carpaccio and will overwhelm a lighter wine. 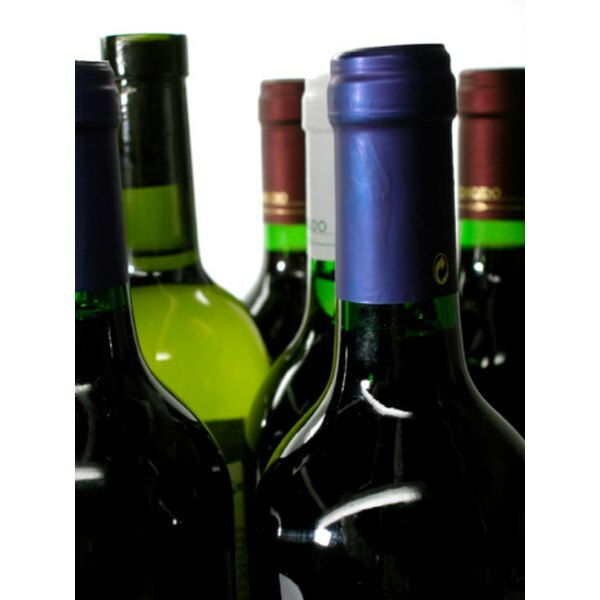 Choose wines such as cabernet sauvignon, chianti or zinfandel. Adjust the wine pairings slightly if there is a heavy or spicy sauce being served with the carpaccio, or only a light glaze. If the taste increases with the sauce, pair it with a stronger wine, if the sauce calms the taste of the carpaccio down, then serve it with a lighter wine. In the end, personal preference outweighs food pairings with wine. If you prefer a chardonnay with beef, pair them together.